Bold Burberry checks provide a sophisticated update to a low-profile, street-chic sneaker featuring leather trim and a stamped logo at the heel. 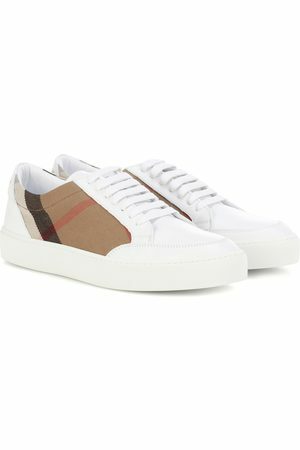 Style Name: Burberry Salmond Sneaker (Women). Style Number: 5142745. Available in stores.